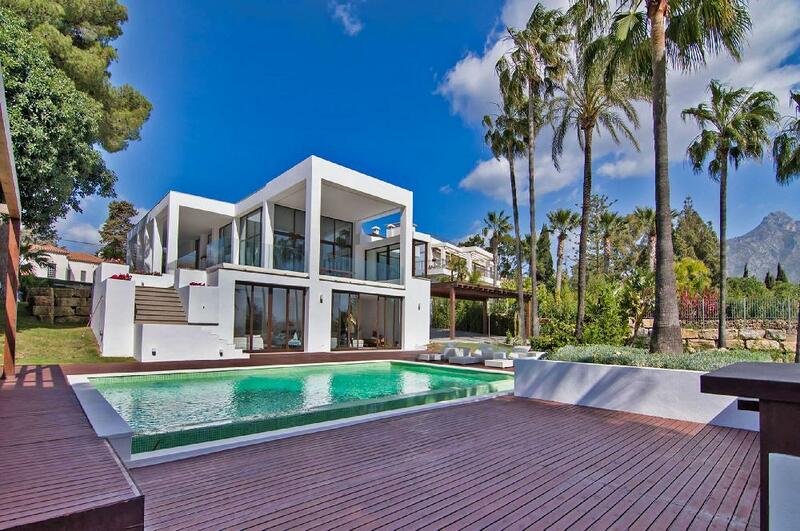 Contemporary Villa 5 bedrooms, huge plot, private pool, short distance beach Golden Mile, Marbella Situated close to the beach on the prestigious Golden Mile, this magnificent estate with 5 bedrooms, private pool and huge garden, is a unique paradise of beauty and tranquility. 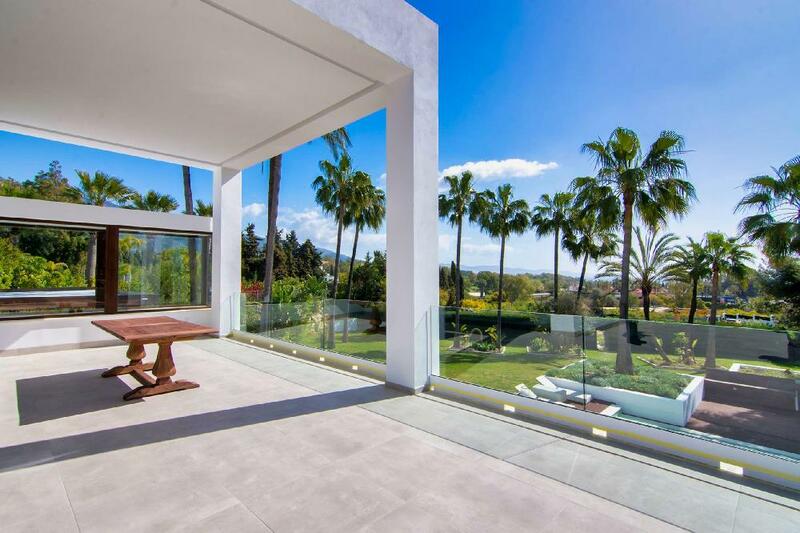 Set on a large plot of 2.962 m2 this magnificent property is located on the Golden Mile, between Puerto Banús and Marbella. 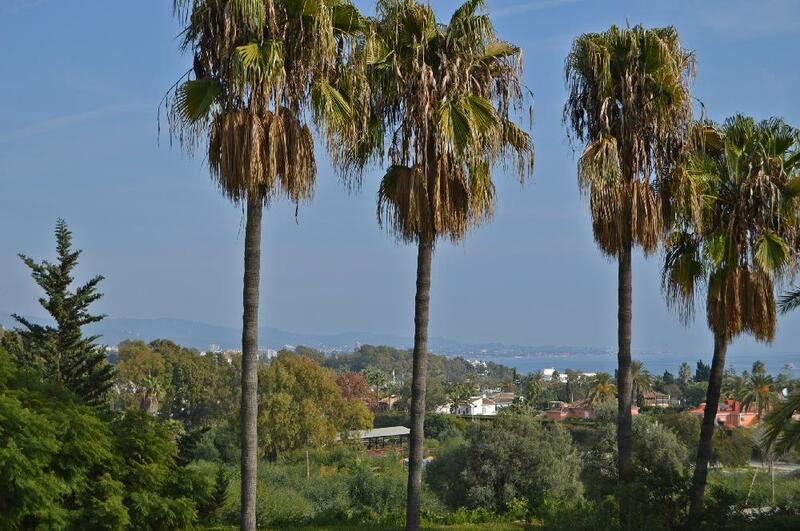 The villa enjoys great sea views and located just a couple of minutes away from the beach. 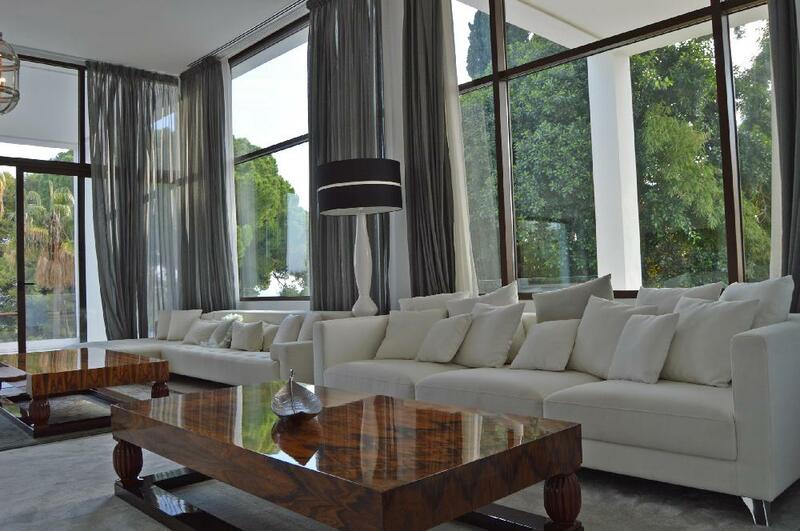 Built to perfection and adhering to the highest standards of modern living, this home offers elegant, yet contemporary interiors. 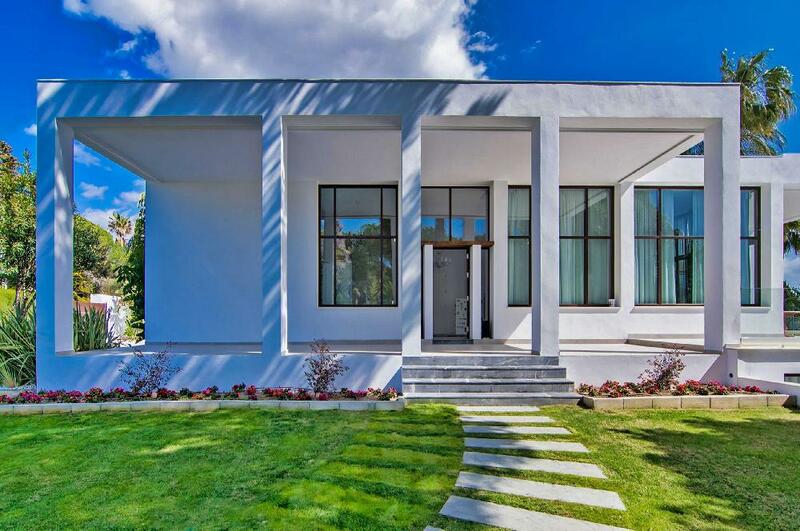 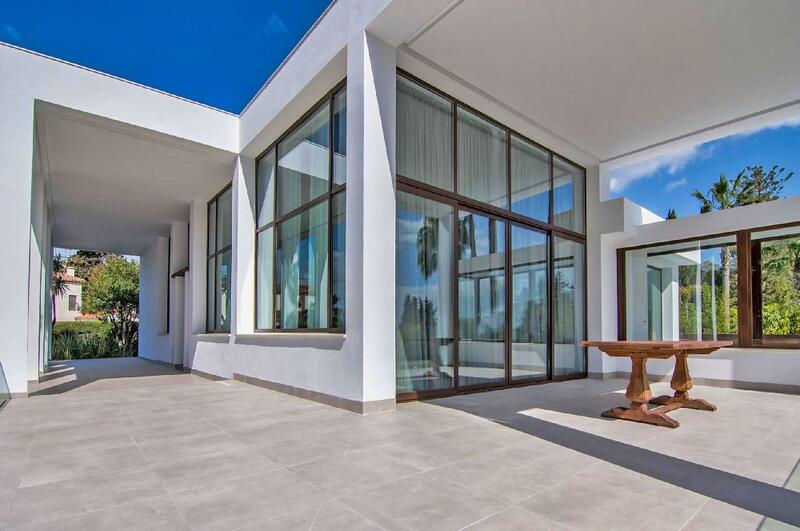 Equipped with a high glass ceiling, it allows the natural daylight to enter throughout the whole house. 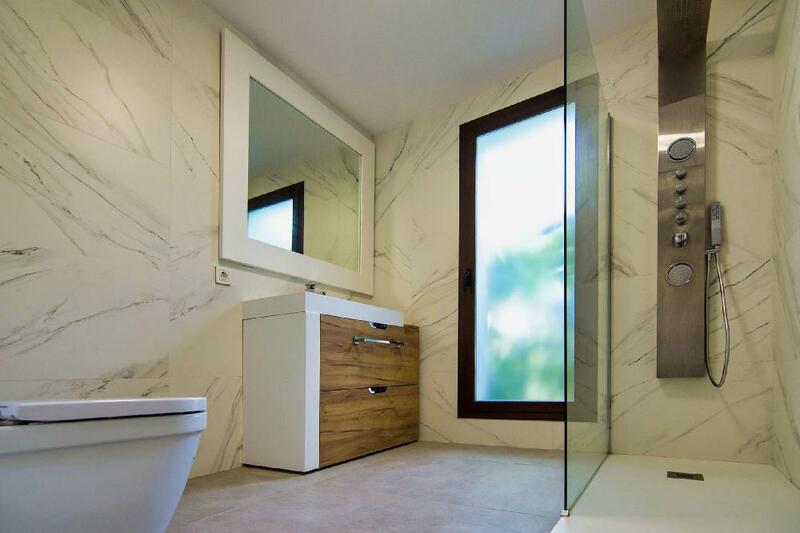 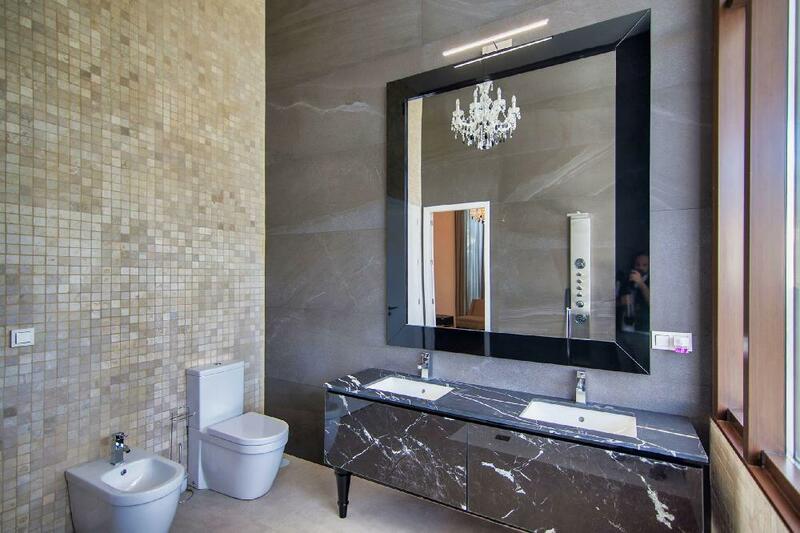 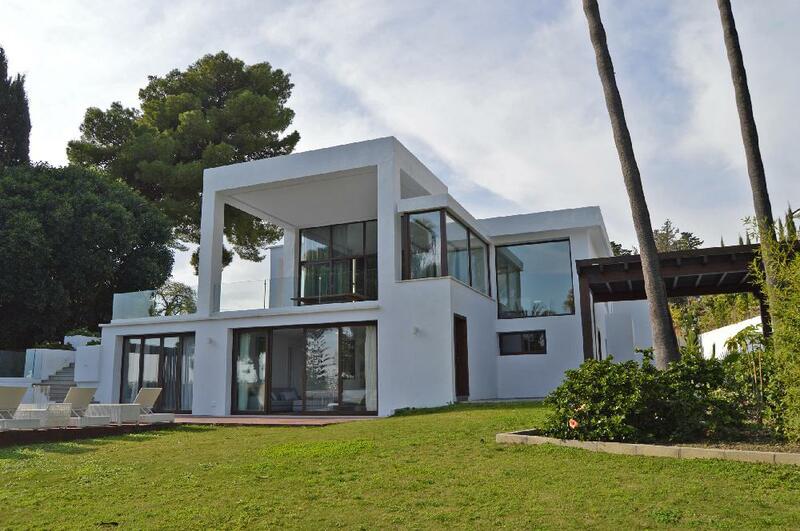 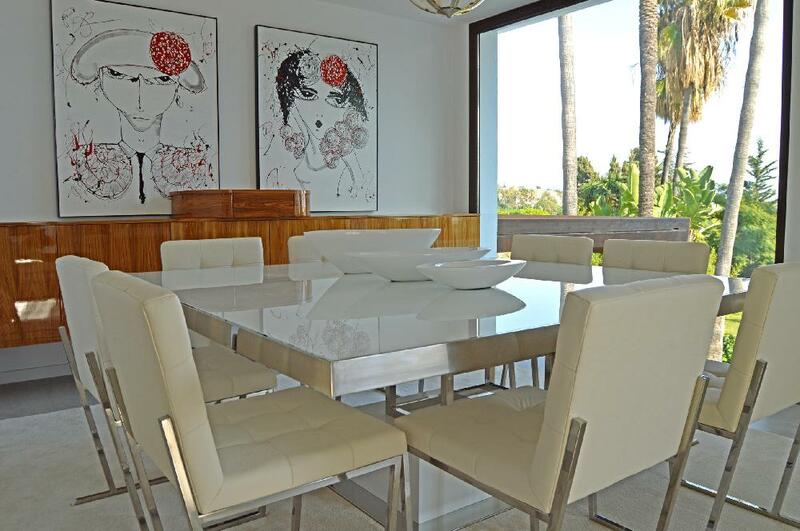 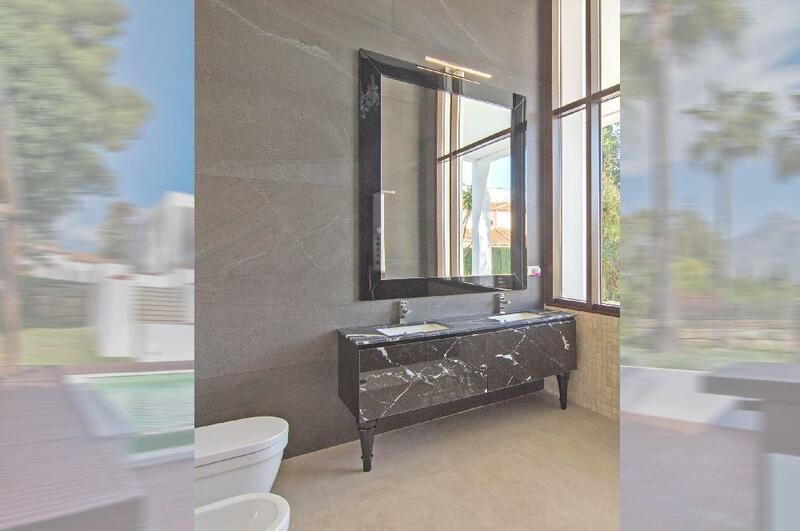 Finished to the highest specifications and the best materials this new villa stands out and positions itself among the best contemporary properties on the Golden Mile. 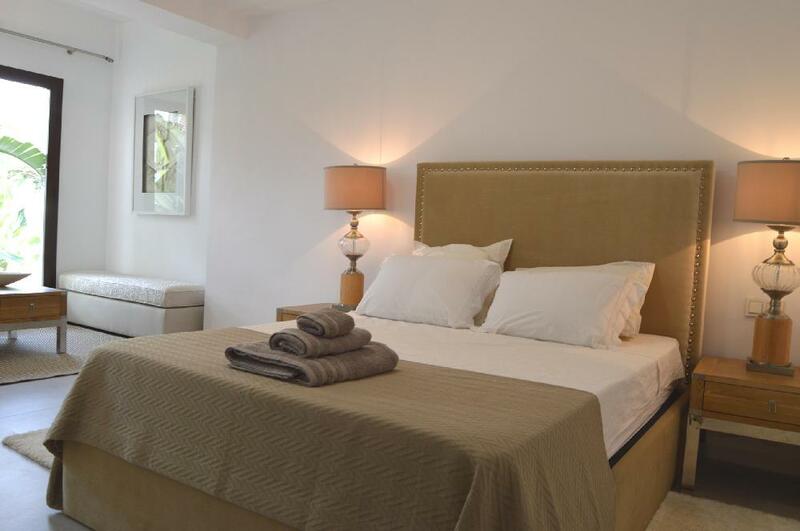 The outstanding modern villa includes 5 bedroom suites with an additional staff or guest quarter in the basement which includes all modern features. 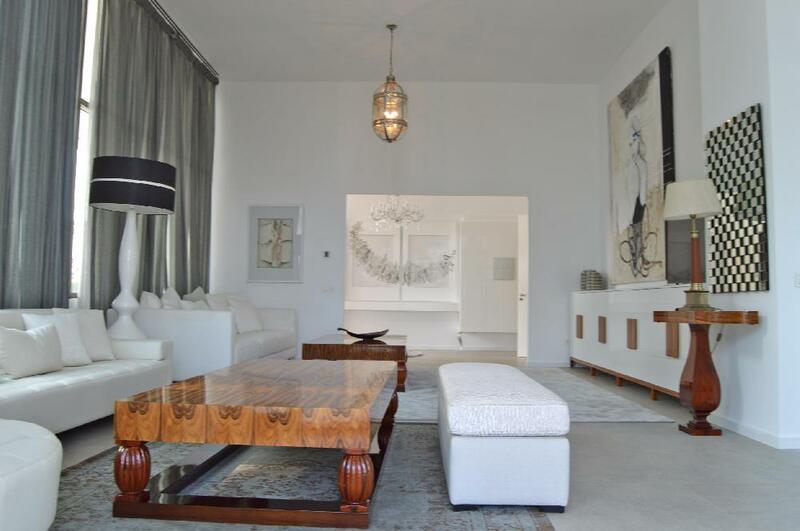 A hall with double height ceiling, living room with access to the terrace area enjoying fabulous sea views; a fully equipped kitchen and dining area with access to another terrace; 3 bedrooms and 3 bathrooms; guest toilet. 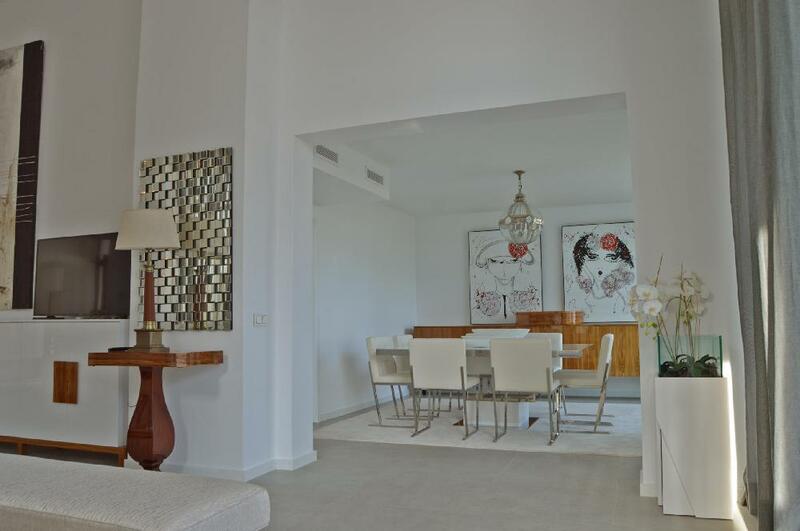 A beautiful modern staircase leading downstairs to a second living room, 2 bedrooms, 2 bathrooms all with access to the terrace and garden with infinity pool. 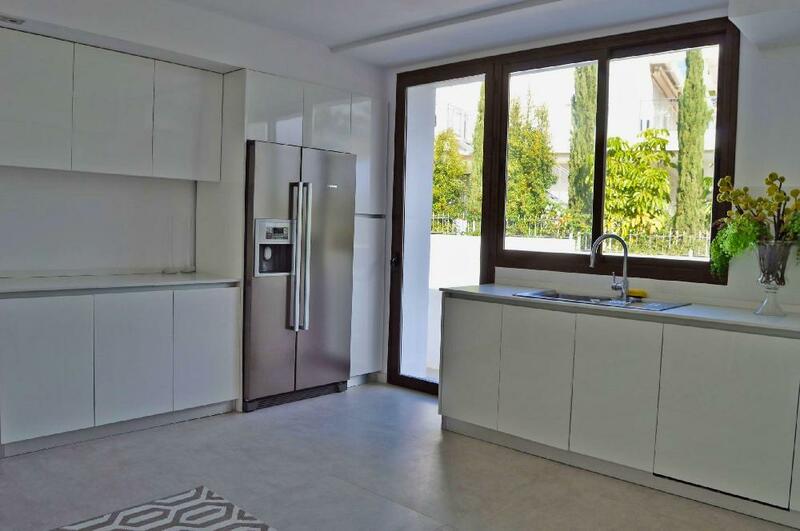 Special features include: Double glazed windows, pre-installation of sound system, under-floor heating, marble floors and much more. 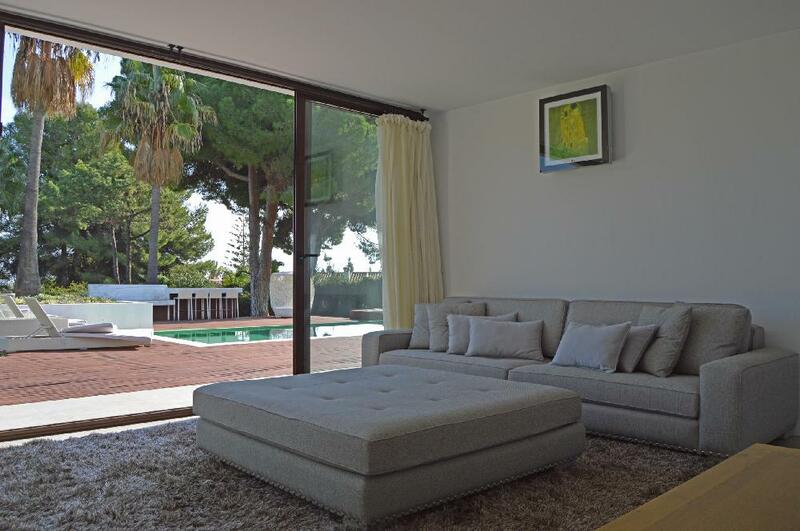 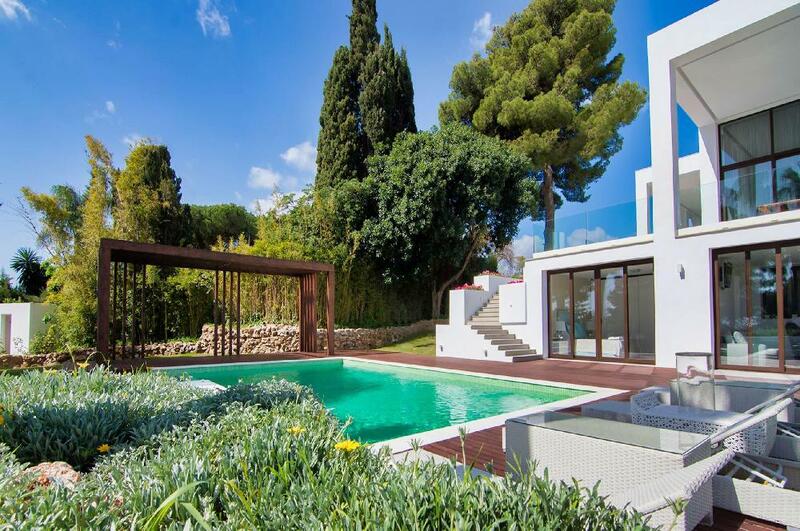 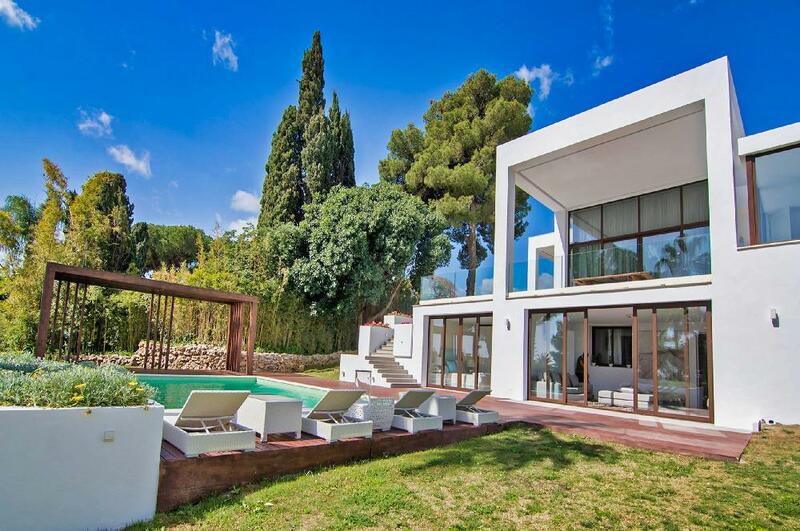 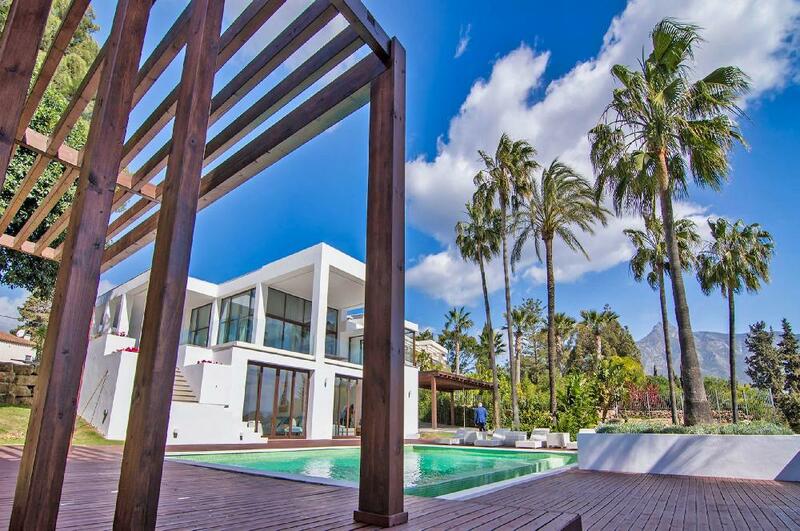 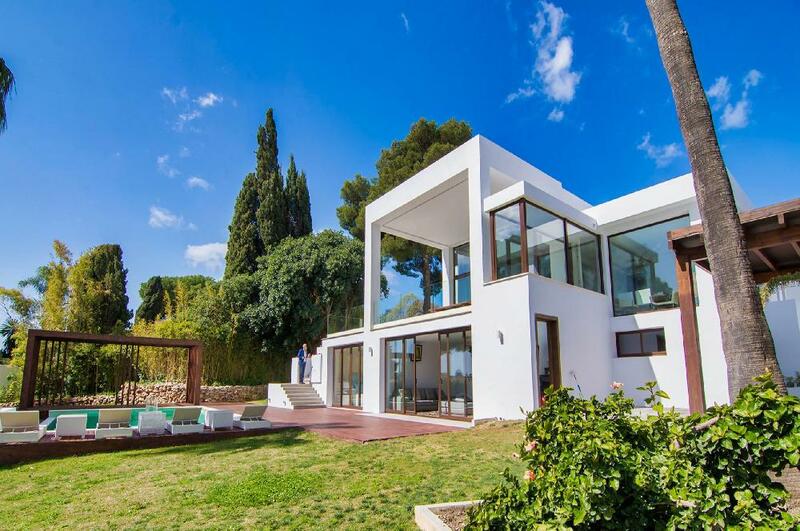 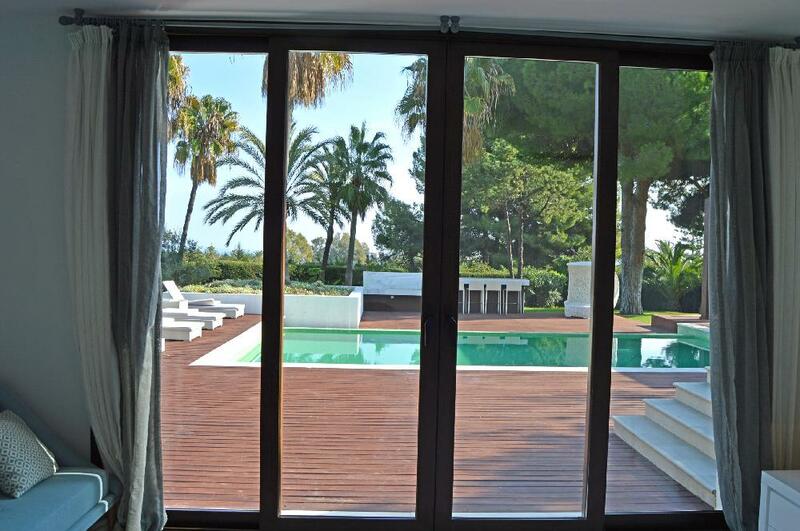 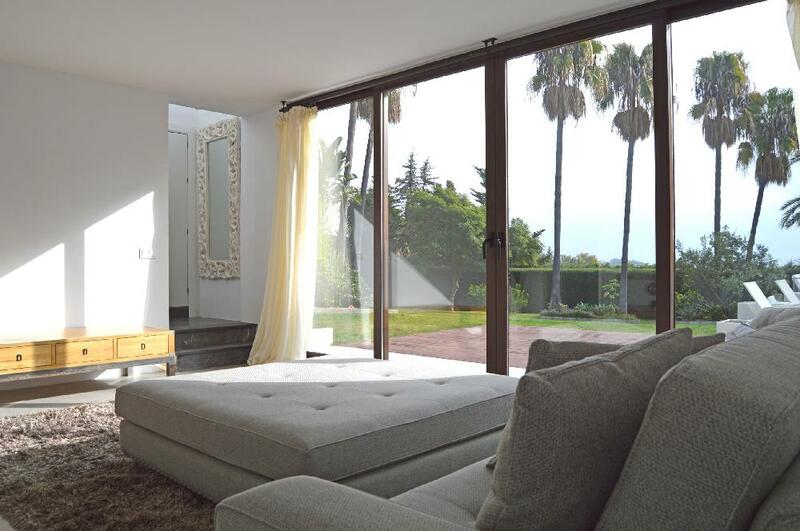 A unique property close to Puerto Banús and next to Marbella's best beaches! 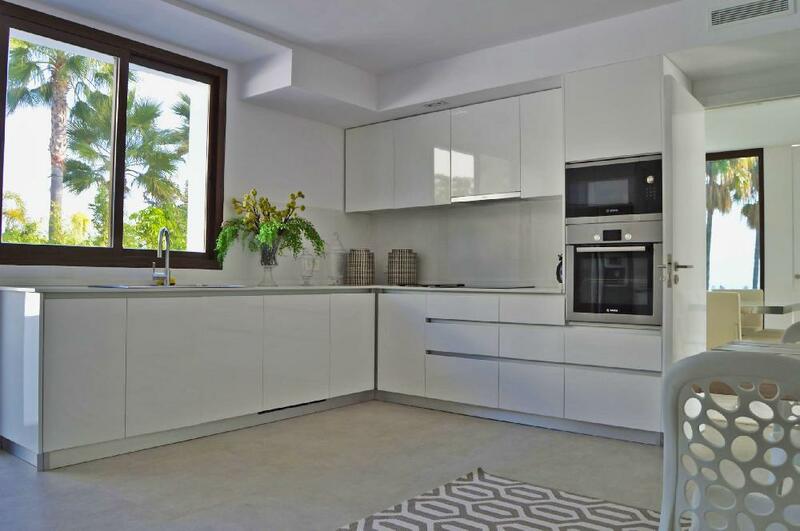 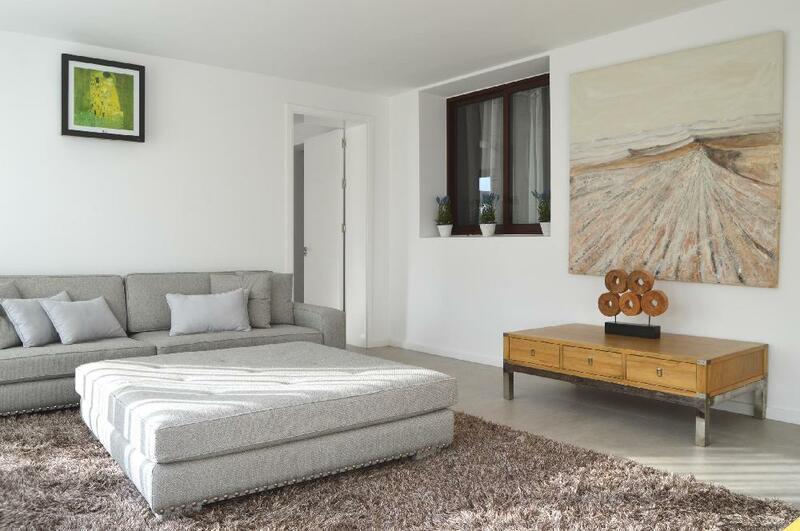 Located within walking distance to Puerto Banús and all the amenities that come with it this property is prime investment opportunity. 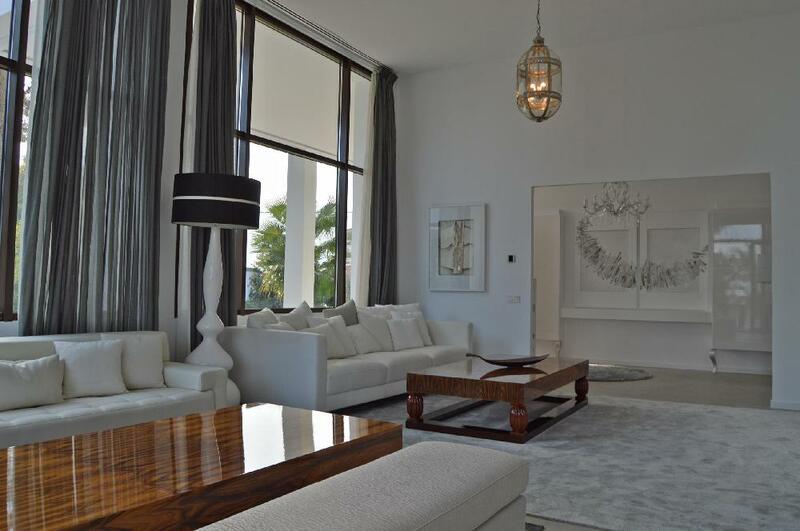 The Golden Mile is one of Marbella's most sought after residential and commercial real estate destinations. 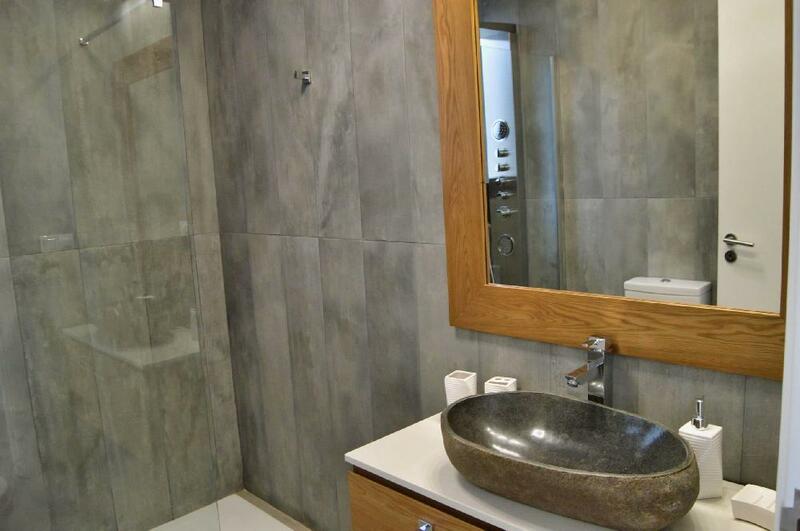 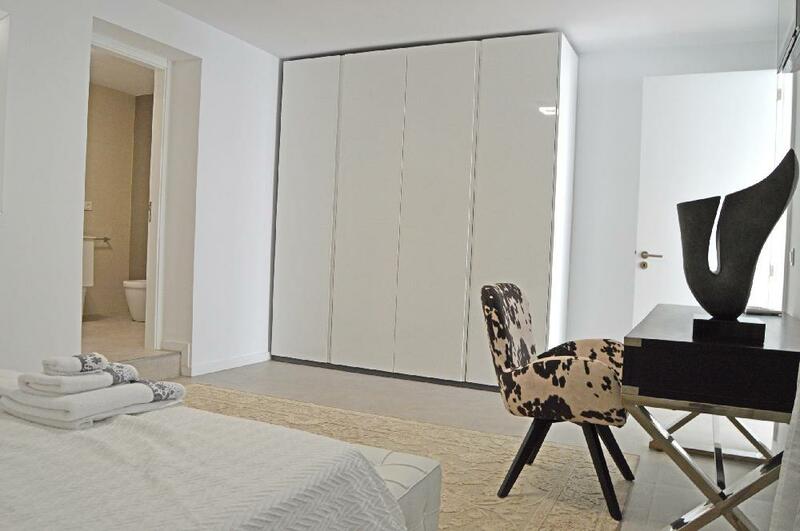 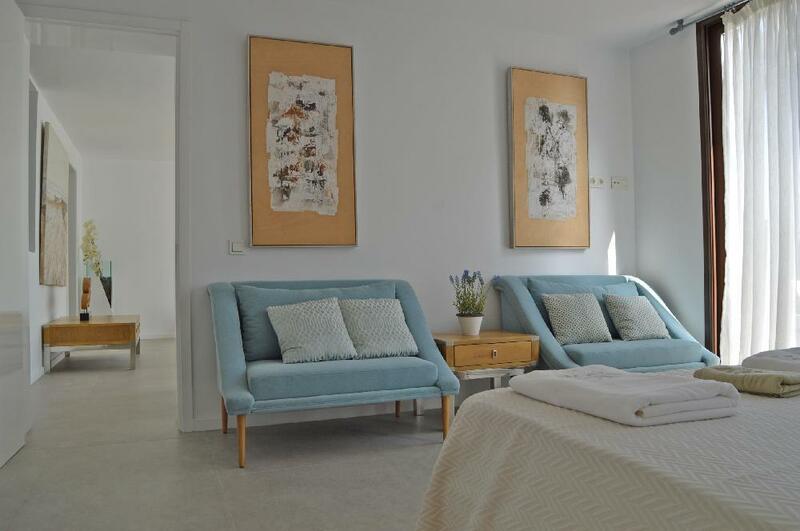 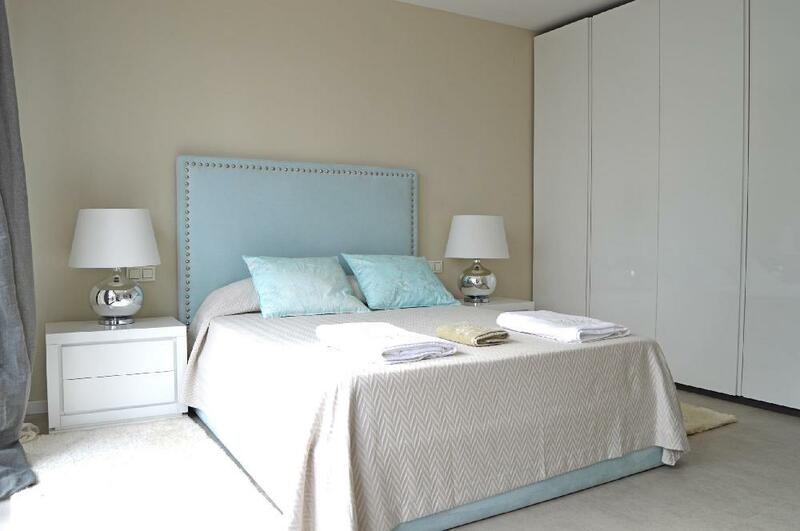 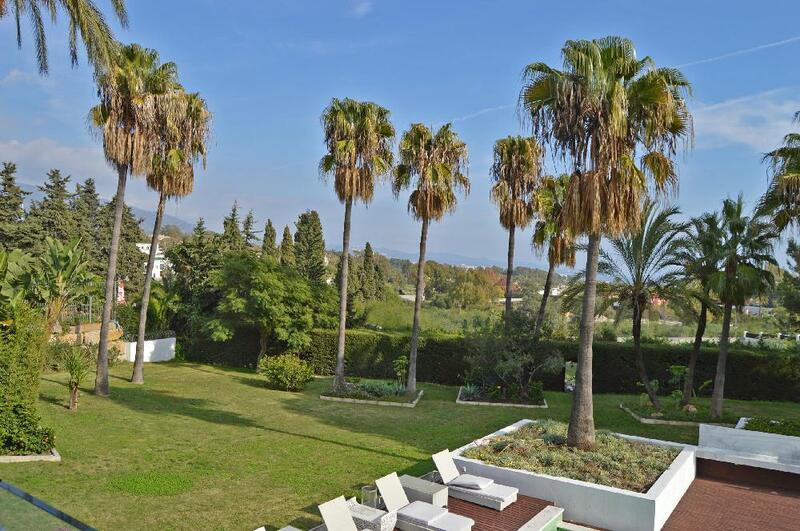 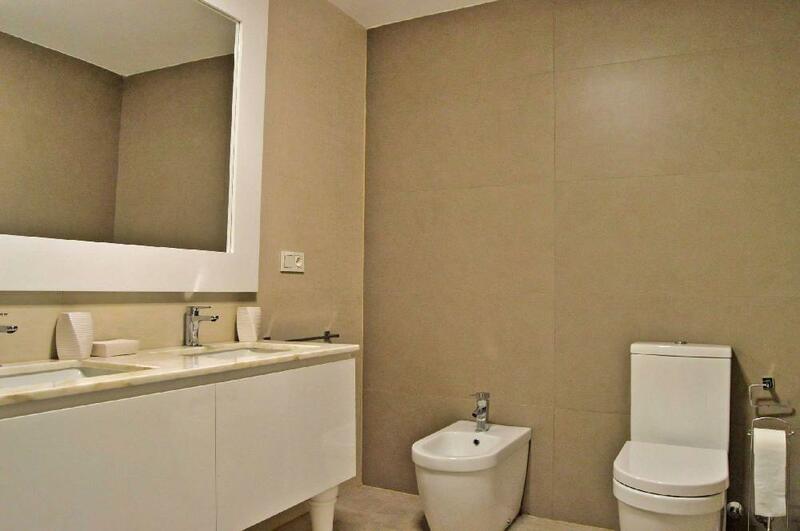 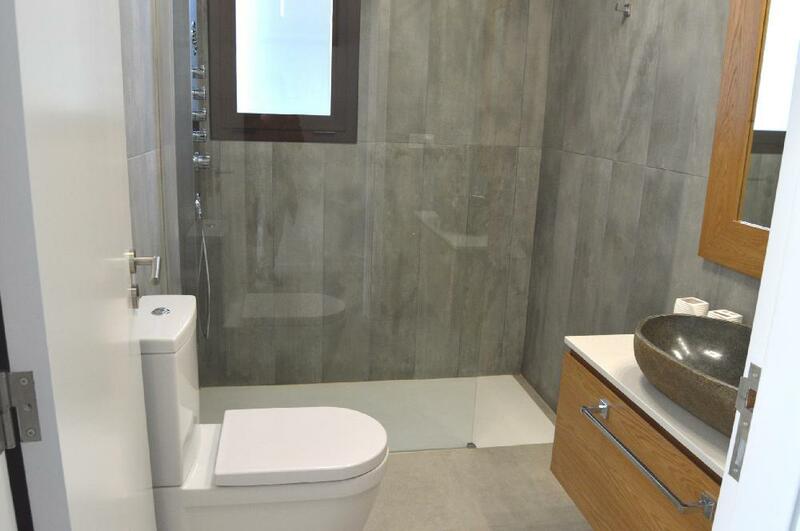 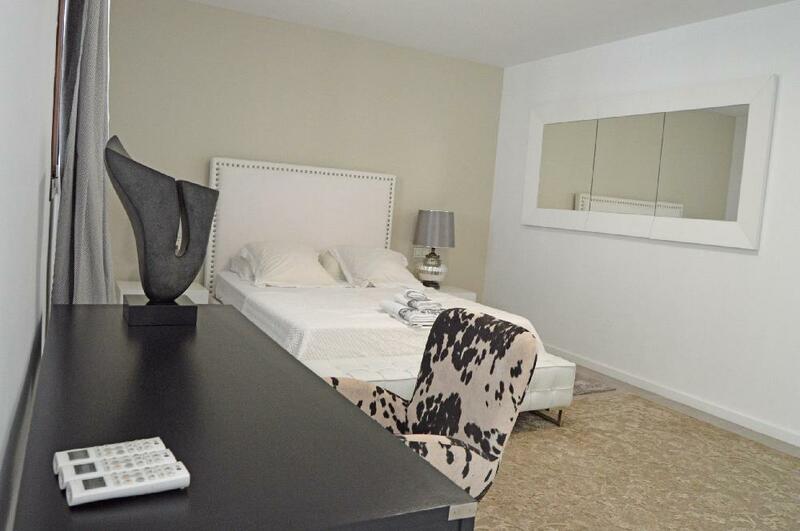 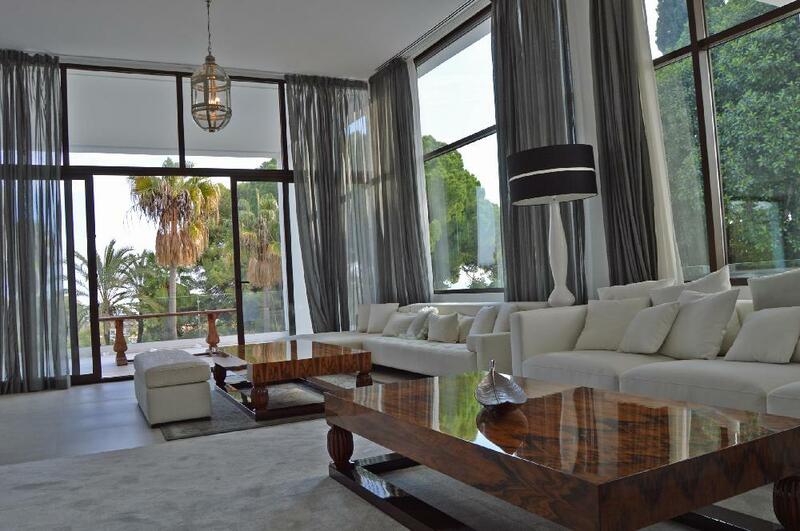 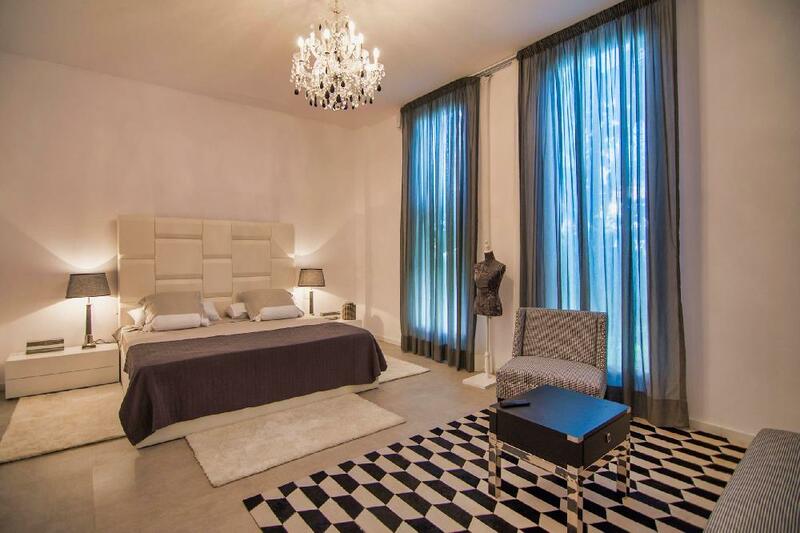 All due to its location right in between the Marbella town centre and Puerto Banus. 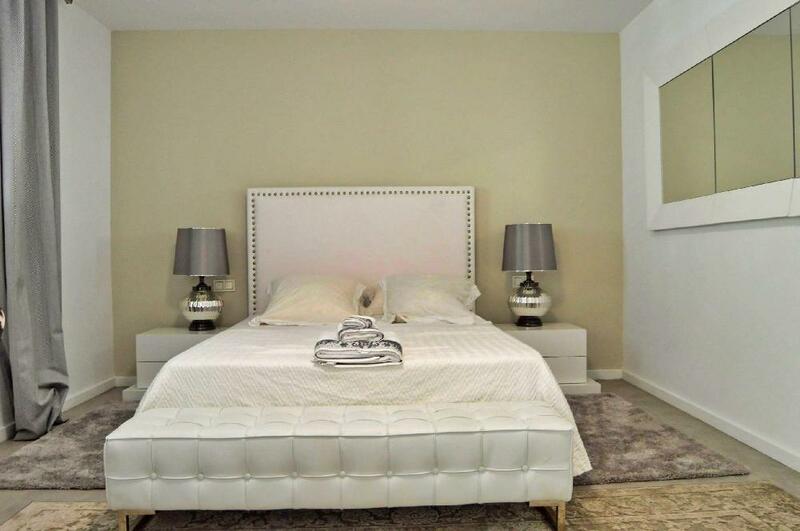 The Golden Mile is the epitome of luxury, extravagance and opulence. 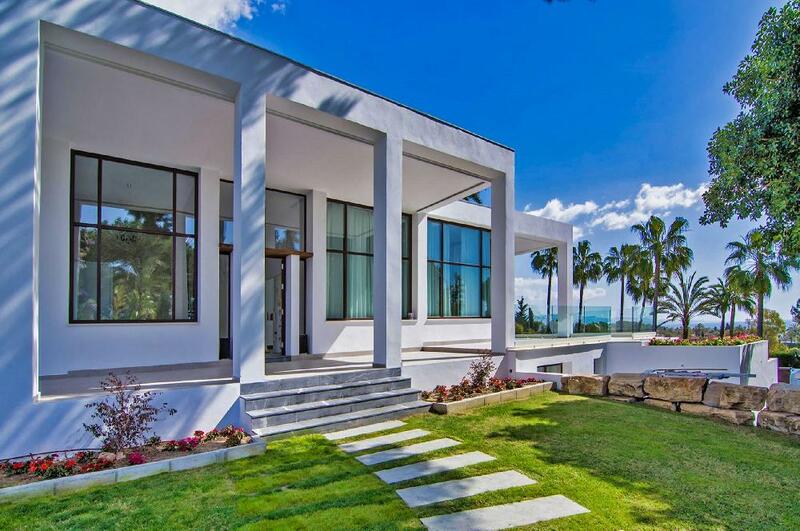 This is, after all, the playground of the rich and famous. 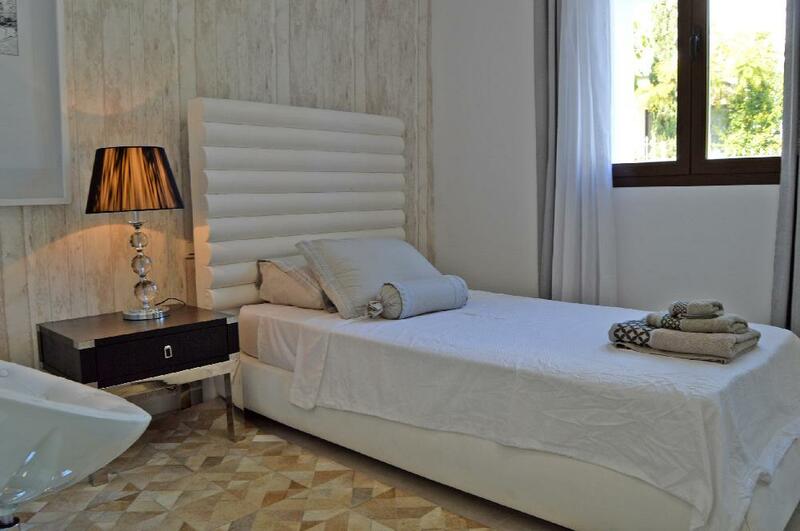 Golden Mile whispers golden promises to you. 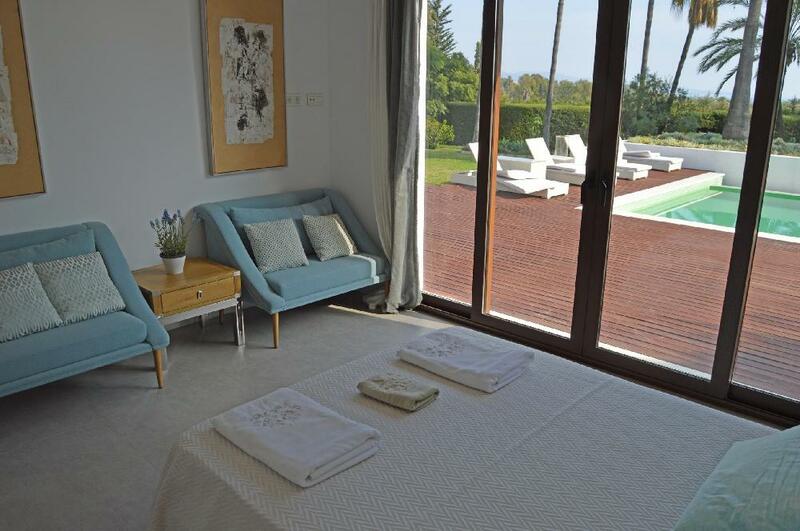 Beckoning you to come visit and experience the richness and luxury of life for the crème de la crème.